Acquired Book By: I am a regular tour hostess for blog tours via Cedar Fort whereupon I am thankful to have such a diverse amount of novels and non-fiction titles to choose amongst to host. I received a complimentary copy of “You’ve Got This” direct from the publisher CFI (imprint of Cedar Fort, Inc) in exchange for an honest review. I did not receive compensation for my opinions or thoughts shared herein. I was invited to this blog tour by the author Elise Hahl of whom I was thankful who introduced me to this inspiring non-fiction collection of human interest stories and affirmations of positivity which can inspire teenagers to find courage and strength in their growing years. I find these kinds of collections cross-relatable and cross-applicable – as the wisdom and truth of what is being shared is timeless. When your growing up there are moments where you like to have self-reflection and self-motivating modes of inspiration to guide you on your path. You can have a wonderful support system within your family and/or community but there are times where it is best to withdraw internally and seek out the answers you’re pursuing through your continuing journey where you lean on your faith most directly. As I will be adopting out of foster care in the future – I am keenly interested in finding books I will one day be recommending to my children. Either for fiction or non-fiction interests and pursuits as the joy of reading and seeking solace in literature is one of the blessings I want to instill in my children. You can gain so much through books – it’s something that I look forward to sharing with them. Therefore, this is one of those motivational books I was keen to read and become acquainted with in case down the road it would become quite handy to have knowledge of whilst giving me the chance to share it with my child(ren). Photo Credit: Al Fox Carraway headshot by Beka Price Photography. 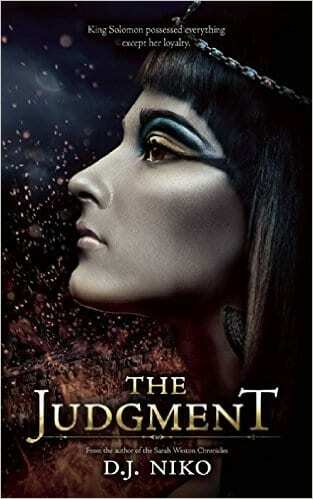 I was selected to participate on The Judgment blog tour coordinated by Hook of a Book Media & Publicity, run by a fellow book blogger and friend of mine: Erin Al-Mehairi. 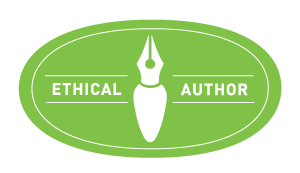 I crossed paths with Erin via her book blog Oh for the Hook of a Book when I first started hosting blog tours for historical fiction writers via HFVBTs. Our friendship developed out of a shared passion for riveting historicals with compelling stories and incredibly dimensional characters who felt they could walk off the pages! Friendship aside, as I start to host for her authors my opinions are based solely on the story I am reading for review and are never influenced by my connection to Erin. I take each story I am reading as a new experience whether or not I know the author or publicist directly or have only met them for the first time by accepting a book to review. I received my complimentary copy of The Judgment direct from the author D.J. Niko in exchange for an honest review. I did not receive compensation for my opinions or thoughts shared herein. I’ve seen her novels on blog tours, but the timing was never good for me to participate or get involved whilst the tours were progressing. I liked the fact this historical takes place in Ancient History! I’ve been wanting to find authors who write during this section of history, as Biblical Historical Fiction fascinates me! I also love the Ancient Civilisations of Egypt and Rome, whilst learning more about History so far removed from our present world to soak inside something wonderfully different! This was one reason I was so keen to read Stephanie Thornton’s “Daughter of the Gods” which I thoroughly LOVED! Expanding on my initial joyous celebration of being selected to read my first Niko novel, and thereby my second Biblical Historical novel, I wanted to recaptialise on things I had shared during a blog tour about Women of the Bible: Scripture Princesses by Rebecca J. Greenwood (see Review & the Q&A) wherein I talked about my appreciation for ‘meeting’ some of the remarkable women of the Biblical Historical past. 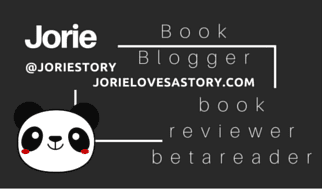 When I first encountered the book blogosphere, I went instinctively to my favourite author’s blogs (i.e. Lauren Willig* & Julie Lessman) before finding The Word Wenches*, Heroes, Heroines & History, and routed myself through the INSPY Fiction blogs which took me to a lot of incredible authors & book bloggers sites alike! I was stumbling across writers for Biblical Historical Fiction along that route as well, except to say, this isn’t a new pursuit of mine! Going back into my childhood, when I would visit book shoppes quite regularly, seeking a wicked good story that may or may not be designated for my age group (as once I fought to understand how to read, I grew easily bored remaining inside my age group of selections! thus, I read adult novels by thirteen; although I sampled a bit prior to that! there wasn’t such a designated genre to explore like there is today for ‘young adult’.) – thus, I started to fetch an eye of interest for the Biblical fiction authors even back then! At the time, I knew the issues and story-lines facing those characters were going to be difficult to read, so I side-stepped them for lighter INSPY novels – mostly Historical Romance or a story of the Amish, as Amish & Mennonite Fiction always delighted me, as I had a bakery IRL as a teenager run by a local Mennonite family. My curiosity for this section of literature, was re-inspired by Stephanie Thorton’s novel (as foresaid) but also by the Early Reader introduction by Ms Greenwood! I simply haven’t had the proper chance to sort through what is readily available to read whilst dipping further back into the past, than perhaps, I routinely do! We all have our ‘favourite’ timescapes and settings; for me, I like to continue to challenge myself to even move further back into the past, root out new heroines and heroes of time I may never have heard of or only know by ‘name’ but not on a personal level of saying ‘this person lived this life & accomplished this’. When I caught sight of the premise behind The Judgment, I felt this was as good of a place as any to continue my journey — reading a story set against the backdrop of Kings would be an easy transition for me, as I spend enough hours wrapped up in the Royal Courts of England (throughout their extensive historical past!) to know a bit about life at court inasmuch as the political potboilers & changing tides that goes along with that kind of a life. Some (aspects) of the story I know loosely based on lessons I learnt ages ago in Sunday School but I never would say my classes dipped past the superficial acknowledgement of things; hence one of the wrinkles I oft found with Sunday School. We might have been told about King Solomon being a ruler, but the lessons fell flat just as my lessons in school always did as well – names, dates, event markers in time; but never the exploration of who a particular person was or how that person lived or even, what happened between their birth, major event and date of death? There is so much between ‘dates’ and ‘events’ – this is one reason I have drawn a pleasurable passion in reading Historical Fiction; imagine what is awaiting me in Biblical Historical Fiction!? Not to mention, in this instance it’s partially ‘Biographical Historical Fiction’, too! To say I was excited would be putting it mildly! *NOTE: As I read across genres, I also read across Mainstream & INSPY literary spectrums; these two were earmarked to say, they were not INSPY but Mainstream. As literature to me is forever all-encompassing. To find out which INSPY authors are marked on my most immediate ‘next reads’ list, please visit my 70 Authors Challenge! Notation on Cover Art: It is hard not to readily notice the cover art on behalf of ‘The Judgment’ due to how strong the woman on the cover is portrayed! You immediately think back towards King Solomon’s era of life – where boldness was paramount to power; where women had to endeavour to overcome great odds & find the will to reign even when their heart was not fully invested. It was a time of uncertainty and a time where bold colours are felt to have flourished; thus I felt the make-up choices and the darker lit design befitted the quick impression that flitted to mind after reading the premise of the story! Once I greeted Basemath in the first Chapter, everything pulled together nicely! It truly is a striking book cover but to match the character is beyond brilliant! Unfortunately for me, I believe my first inclination to believe which character is featured on the cover was mistaken. Upon the death of his father, Solomon has been appointed king of the united monarchy of Israel and Judah and charged with building the Temple of the Lord in Jerusalem. He travels to Egypt to negotiate with Pharaoh Psusennes II for gold for the temple and to improve relations between the two nations. There he falls in love with the pharaoh’s beautiful daughter, Nicaule, and the two kings agree to an arranged marriage. Against her will, for she loves another, Nicaule follows her new husband to Israel. Forty years later, Solomon’s empire is on the verge of collapse. Power has made him arrogant, permissive, and blind to the scheming of his wife and one of his lieutenants to topple the united monarchy. As the king’s faith falters and his people’s morals collapse, enemies gather at the gates of Israel. A visit from a mysterious queen restores Solomon’s perspective in time to save his soul—but it is too late to preserve his kingdom. Someone who once was loyal to King Solomon has come back to claim the crown of Israel—and tear Solomon’s empire asunder. D.J. Niko is the pseudonym for Daphne Nikolopoulos, an award-winning journalist, author, editor, and lecturer who has spent her entire adult life traveling the world. As a former travel writer and zealous adventurer, she has visited remote spots on six continents, many of which have inspired her archaeological thriller series, The Sarah Weston Chronicles. She was born and raised in Athens, Greece, and now resides in Florida with her family.